Jessica grew up in Lancashire and moved across the Pennines in 2015. Prior to joining Chambers she was awarded a ‘1st Class’ Law Degree from the University of Newcastle-upon-Tyne and achieved an ‘Outstanding’ qualification in her bar exams at Manchester BPP Law School. She was awarded the Baron Dr Ver Heyden de Lancey Prize and a Certificate of Honour from the Honourable Society of the Middle Temple; both for attaining the highest grade in her academic year at Bar School. Jessica joined 39 Park Square in September 2015, undertaking her pupillage thereon in with a focus on Criminal and Civil law. During the course of the year, she was awarded the Criminal Bar Association Bursary 2016 for her ‘Outstanding’ advocacy. 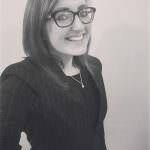 Jessica has successfully completed a mixed civil and criminal pupillage under the direction of Mr Robert Skyner and Mr Richard Canning. On a day to day basis, Jessica both prosecutes (Grade 2) and defends criminal cases in the Crown Court and in the Magistrates’ Court circuit-wide. She is rapidly developing a reputation as a fearless advocate with a real eye for detail. Jessica is also available to undertake an array of Personal Injury hearings in the CountyCourts, as well as all aspects of drafting and advisory work. She is practiced in providing training seminars with practitioners on a range of Civil Law matters. Outside of Chambers, Jessica has been an invited member of Newcastle Law School’s Advisory Board for the past two years and is a keen advocate for access-to-the-bar for those from financially disadvantaged backgrounds.